We know what side we’re on, we only act for injured people. An estimated 710,000 people are injured in road accidents each year in Great Britain, according to official figures. This includes casualties not reported to the police, and covers the full range of injuries – from the most minor of scratches to the most serious, fatal injuries. In 2013/14 there were 1,775 fatal car accidents on Britain's roads and 22,807 serious injuries; that's an average of five deaths and 62 serious injuries per day. Clearly, this is an unacceptable toll and more needs to be done to prevent such incidents from occurring, both at a governmental and an individual driver level. What injuries can you get from a car crash? The body experiences numerous forces and, sometimes, impacts when involved in a road traffic collision. Whiplash and soft tissue damage are very common and can vary from minor – mild, short-lived pain and tenderness – to severe debilitating injury of the neck, shoulders, arms and back which takes months to heal. Whiplash is not only classified as pain and injury to the neck, the NHS lists headaches, arm pain, spasms, dizziness, and cognitive disruption as symptoms of whiplash. See our Whiplash Information Centre for more on whiplash, including compensation amounts, the claims process and a useful glossary of whiplash-related terms. In a serious or high-speed car accident there is a risk that those involved may sustain broken bones and fractures: motorcyclists, pedestrians and cyclists are particularly vulnerable. Car occupants who are not wearing a seatbelt are at greater risk of breaks and fractures in a car accident but, contrary to popular belief, this factor will not prevent the accident victim from making a claim. The court is likely to decide that the act of not wearing a seatbelt renders them partially liable for their injuries and any compensation awarded will be reduced accordingly. The most common broken bones or fractures suffered in car accidents are to the ankles, fibula and tibia (shin bones), femur (thigh), hips, pelvis, vertebrae, ribs, sternum (chest), clavicle (collarbone), humerus/radius/ulna (arm bones), wrist, and facial/skull fractures. Most broken bones will require a period of rest in order to allow the bones to heal and some, more serious breaks will require surgery, immobilisation, and possible rehabilitation to help regain full use of the limb or joint. Serious breaks can cause other life-threatening complications, especially when the broken bone is near to vital organs. Bone fractures can also cause further problems such as post-traumatic arthritis and osteoarthritis and it is important that the consultant or doctor fully considers your risk of suffering complications in the future and these are accounted for in your compensation claim. Sadly, many car accidents result in catastrophic and life-changing injuries because the victim suffers brain damage or spinal injury. Some brain injuries, such as concussion, will only be temporary and the patient will regain all pre-accident function, with no ongoing symptoms, within a few weeks. However, some brain injuries, such as brain haemorrhage and, diffuse axonal injury can be extremely serious and can even leave the patient in a persistent vegetative state. The severity of spinal injuries depends on the location of the injury along the spine and whether the spinal cord is damaged. When a spinal injury is "complete", i.e the cord is severed or the damage is so severe that no neurological messages can be carried any further along the spinal cord, the injury will result in complete loss of sensory and motor function below the location of the injury. Crush injuries are fairly common in car accidents because of the nature of collisions between vehicles. Crush injuries include bruising, fractures, damage to internal organs, head and brain injuries and paralysis. Severe crush injury may result in death. Some crush injuries will result in surgery and may even require limb amputation. Physiological and psychological shock are common factors following a traumatic car accident. Physiological shock, or medical shock, affects the body and must be treated as an emergency. If blood pressure drops following a car accident, the organs and tissues of the body may be starved of oxygen and permanent damage can occur quickly, leading to heart attack, organ failure and even death. Symptoms of psychological shock, or emotional shock, following a car accident include sleep loss, nightmares, chronic fatigue, mood swings and irritability, social withdrawal and feelings of being overwhelmed. Such symptoms may begin immediately or build up over several days and weeks. It is important to seek help if you feel emotionally affected by a road traffic accident; in the first instance talk to your GP. Acute stress syndrome is suffered by approximately one fifth of all road accident victims. A range of illnesses can occur, including PTSD (post traumatic stress disorder), acute stress disorder, adjustment disorder and specific phobias. The nature of many road traffic accidents, especially when they involve high speed and vulnerable road users, means that the injuries are so serious they cause loss of life; sometimes at the scene of the accident and sometimes later, while the patient is in hospital. Because of the forces and impacts involved in road accidents, the victim often suffers multiple injuries, which are catastrophic and prove fatal. When someone dies as a result of a car accident it can be an extremely difficult time for the family both emotionally and practically. Making a claim for compensation following a fatal accident can provide financial security for the future and can help the family seek justice for their loss. If you or a loved one has been injured in a car accident, you might be entitled to compensation. But don't leave it too long to find out whether you are eligible – you only have three years from the date of the accident in which to make the claim. 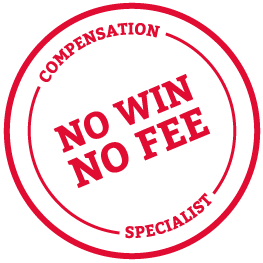 Give our No Win No Fee lawyers a call today on 0800 0891331. We will discuss your options with you and help you take your first steps towards receiving compensation. Thompsons, the leading personal injury solicitor firm in Scotland.